Photovoltaic operation is based on photons (see Atoms, Electrons and Photons article this website), which are created when an electron in a higher than normal orbital moves down to its normal (lower) orbital in an atom. Once emitted from an atom photons travel as light through space and when they hit matter several things can happen depending on the amount of photon energy and the type of matter hit. The Photoelectric Effect, proposed by Einstein, is the condition whereby photons hitting matter cause the ejection of electrons from the atoms of the particular matter. This process is reverse to the process of creating photons, i.e., instead of electrons moving to lower less energized orbits, they are moved up to higher more energized orbits, and can ultimately be ejected altogether. Whether electrons are ejected or not from the matter hit, depends on the matter’s band gap energy, which dictates how much photon energy is required to eject an electron from an atom of that particular matter. Certain materials (matter) eject electrons more easily than others. Currently there are many materials and composite systems being developed to turn photon energy into electricity. To grasp the basics of this process the description below relates to how this is done for the most common solar cells, which use silicon. 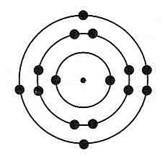 The silicon atom has three levels of electrons. The two inner levels are full, but the outer most level is only half full, containing four electrons, but having space for eight. It gets the missing 4 electrons by sharing one from each of 4 other silicon atoms, and this sharing creates a bond of crystalline structure. As such, photons hitting silicon do not have much useful effect because freeing up electrons is not easy. However, by mixing impurities (called doping) into the silicon structure it is possible to better control the photoelectric effect to create electricity. This is done by creating two parts, which together create a diode. The first part is a mix of silicon and phosphorous that creates a negative side called the N-Type (N for negative), and the second is a mix of silicon and boron that creates a positive side called the P-Type (P for positive). The phosphorus atom is structured like the silicon atom except that it contains five electrons in its outer most level instead of 4. When mixed with silicon the result creates an extra electron (4 + 5 = 9 – 8 = 1), which is constantly searching for a place to fit in. 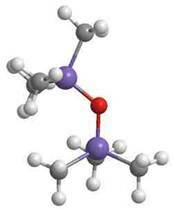 The boron atom has two levels of electrons, with the outer most level containing three electrons. 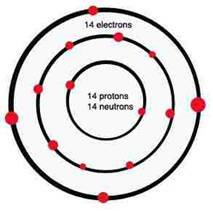 When boron is mixed with silicon the result creates a proton hole (4 + 3 = 7 – 8 = -1) for an extra electron to fit in. When these two positive and negative parts are placed close together a flow of free electrons from the N-Type side seeking free proton holes from the P-Type side is started. Free N-Type electrons moving to the P-Type side to find proton holes happens in one direction, where, free P-Type electrons cannot return to the N-Type side because there are fewer proton holes to receive free electrons on that side. This creates the diode with unidirectional electron flow and ultimately an electrical current. When photons of light hit this system they intensify the process of freeing electrons to the point that there are enough free electrons moving in one direction to create a useable electrical current. Once the current is created it can be directed by wires to a battery, which receives the incoming electrical charge and stores it. This system creates direct current (DC) electricity.